Stanford scientists are harnessing the power of focused X-ray beams to study the transformations undergone by rocks under intense heat and pressure. The technique could provide new insights into ancient asteroid impact events like those that battered the early Earth and played a crucial role in the formation of other rocky planets. "For the first time, we can begin to unravel the ultrafast transformation of a rock sample during a dynamic process like shock compression. By taking a series of snapshots, we can capture what is happening during very rapid processes," says Wendy Mao, an associate professor of geological sciences and of photon science. Using the Linac Coherent Light Source (LCLS) X-ray laser at SLAC National Accelerator Laboratory, Mao and Arianna Gleason, a postdoctoral researcher at Los Alamos National Laboratory and a visiting researcher in Mao's Extreme Environments Laboratory, are performing experiments that allow them to witness the swift transformations of shocked rocks. First, they use high-powered optical lasers to superheat a tiny part of a rock sample and create a plasma. "The part of the rock hit by the laser becomes a plasma that blows off, and it blows off so fast that it creates a shock wave traveling in the other direction," Gleason explains. 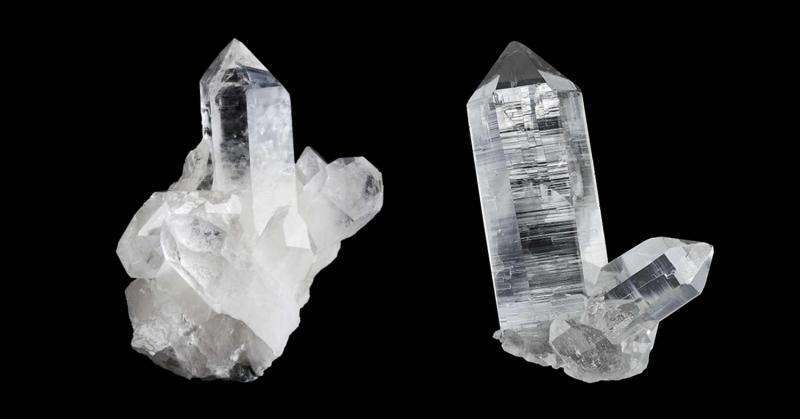 The heat and compression generated by the moving shock wave changes the crystalline structure of the remaining rock sample, rearranging its atoms into a different mineral. 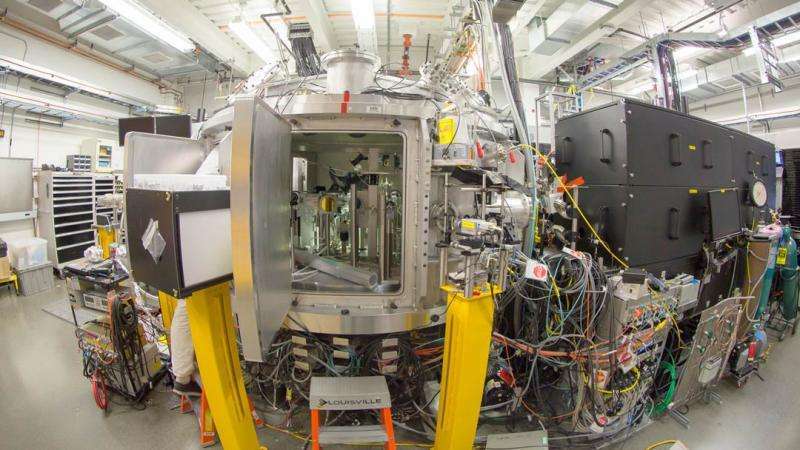 In order to illuminate and record the properties of the changing mineral, the scientists fire a burst of focused X-ray beams from LCLS at the sample just nanoseconds after the first laser pulse. "The X-rays have a wavelength that is just right for letting us measure the distances between atoms," Gleason says. "Based on the position of the atoms, we can tell exactly what material it is." By varying the arrival time of the X-rays, the scientists can generate a series of snapshots of the mineral as it changes over time. Creating a time series that represents 50 nanoseconds of rock changes can require 6 to 12 hours in the lab. Using their technique, Mao and Gleason recently showed that the mineral stishovite, a rare, extremely hard and dense form of silica, can form in just a few nanoseconds, or billionths of a second – tens or even hundreds of times faster than previously thought. "The high-pressure behavior of silica has been studied extensively because of its application not only to planetary science but fundamental physics, chemistry and materials science as well," Mao says. "This study provides critical insight into the mechanism behind how different forms of silica transform from one structure to another."